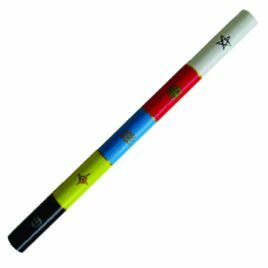 This is a unique, one-of-a-kind item. Once it’s gone, it’s gone. It just needs a motto and finish coat and it’s ready to ship. 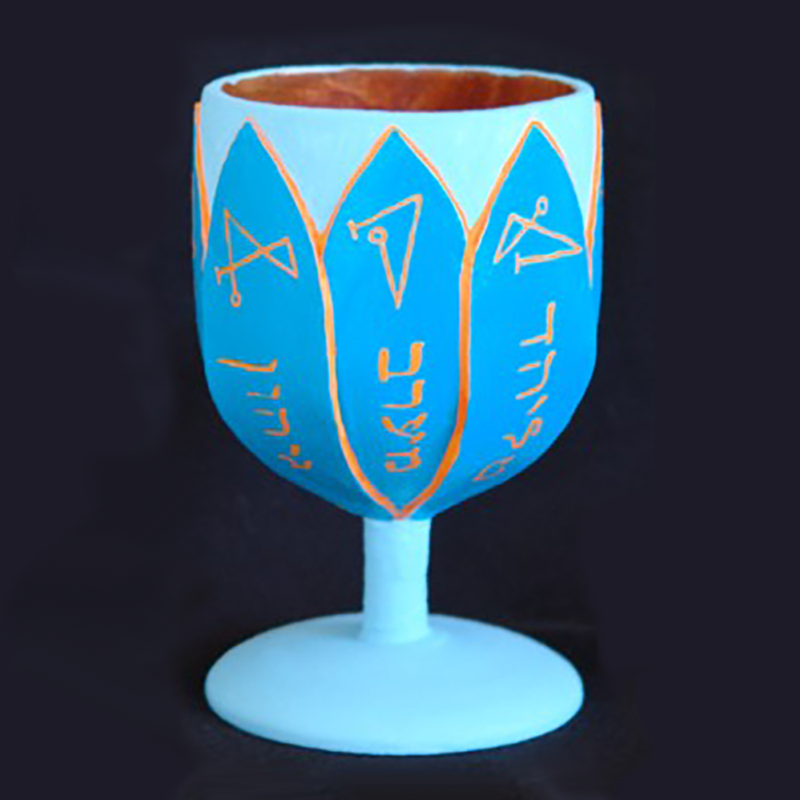 The design of this cup is based on the Stolistes Cup Admission Badge. It includes a separate lid. 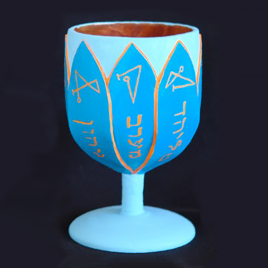 The design of this cup is based on the Stolistes Cup Admission Badge. 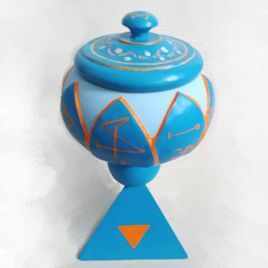 It features a bowl that represents a crescent, beneath which is a circle and a tetrahedron base. 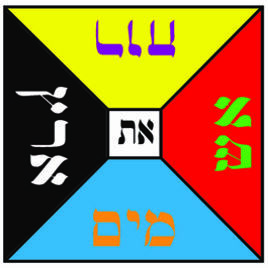 These three sections represent the three elements of water, air, and fire. 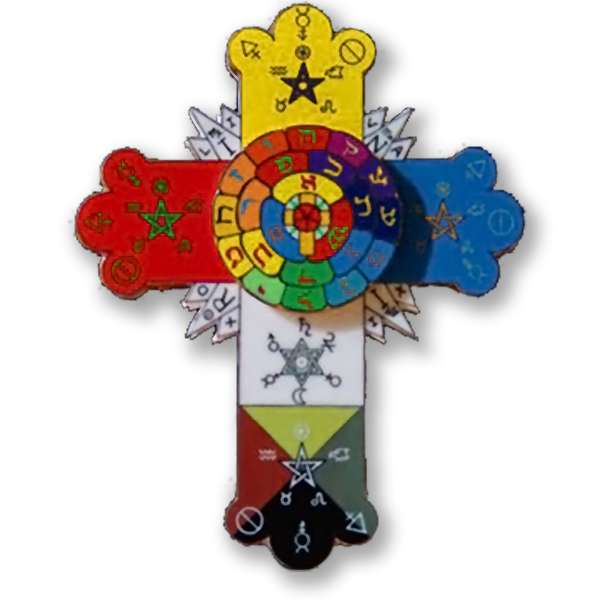 The crescent is the water which is above the firmament, the circle is the firmament, and the triangle the consuming fire below, which is opposed to the celestial fire symbolized by the upper part of the caduceus. The cup is a symbol of spiritual receptiveness. 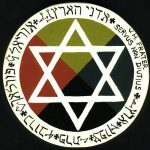 The Golden Dawn Water Cup is one of the Four Elemental Tools of the Adept.The Water Cup is used by the Zelator Adeptus Minor in all magical workings pertaining to the nature of elemental Water, and under the presidency of the Hebrew letter Heh and the “Cup of the Tarot.” The Cup is based in part on Egyptian Lotus designs. 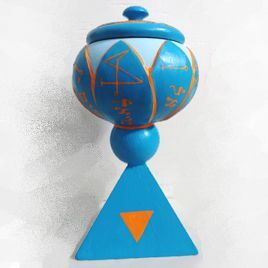 The Cup has eight lotus petals painted blue ornamented with orange. Similar Products: The Small Water Cup and our standard Water Cup. 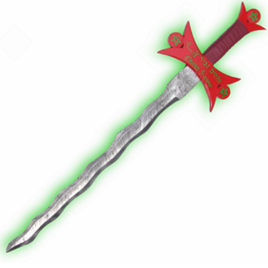 Our most elegant Magic Sword, featuring a wavy blade forged from Damascus steel. THE FLAMING SWORD or Lightning Flash is formed by the natural order of the Sephiroth on the Tree of Life. It is the descending current of Divine Energy, and it resembles a flash of Lightning. 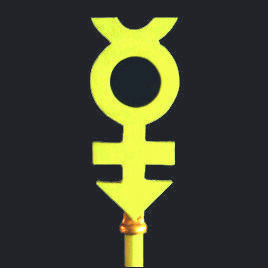 The Flaming Magic Sword incorporates this Qabalistic symbolism with the Golden Dawn's Magic Sword of the Z.A.M.